When will be Let's Get Physical next episode air date? Is Let's Get Physical renewed or cancelled? Where to countdown Let's Get Physical air dates? 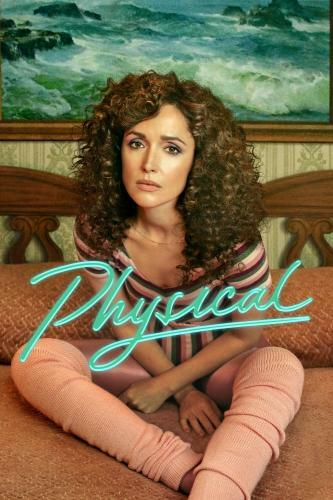 Is Let's Get Physical worth watching? It's the Regionals and the top two teams will advance to the Nationals. Even though the Fitness by Force and The Metrix teams both pulled off great performances, the head judge announces no team will advance. The two teams put aside their differences to discover the truth behind this injustice. Janet, Tina and Claudia use their female intuition and common sense to solve the mystery. Meanwhile, Joe and Barry go in a completely different direction, which ends with each of them in humiliating positions. Joe is getting into Barry's head. Realizing he should not underestimate his opponent, Barry trains his Metrix team to emulate the enemy. He takes his team on an alcohol and pizza fueled bender at the Metrix. Joe and Claudia take Joe's recently deceased car on a tow truck tour down memory lane. Then Barry and Joe take their rivalry to the cameras, recording a Cross vs. Force promo for the Competitive Aerobics Championships Finals. It's the day before the Competitive Aerobics Championships Finals and the teams are preparing for the evening gala where Joe will accept the Icon Award on behalf of his father. In a desperate attempt to shed some pounds, Joe takes too many diet pills and subsequently passes out in the hotel hallway. While unconscious, "Angel Barry" leads him on a Christmas Carol type journey through his past, present and future. The visions force Joe to confront parts of himself he's been avoiding. When he wakes up, he starts to put a scheme in motion. Unfortunately, Claudia has other plans. Just before the teams are about to hit the stage at the Competitive Aerobics Championships Finals, Barry reveals Joe and Claudia's secret deal to the Fitness by Force Team: Claudia will own half of Joe's gym, no matter what team wins. Tina doesn't react well to this, hinting at her true feelings for Joe. Later, Barry takes the stage in the Singles competition. The Fitness by Force team is shocked to see Barry has stolen every move from Joe's routine, including Colonel Force's top-secret one. In response, Joe pulls out all the stops with a last-minute unorthodox routine – but will it be enough to win? Let's Get Physical next episode air date provides TVMaze for you. EpisoDate.com is your TV show guide to Countdown Let's Get Physical Episode Air Dates and to stay in touch with Let's Get Physical next episode Air Date and your others favorite TV Shows. Add the shows you like to a "Watchlist" and let the site take it from there.